While we were in Scotland we visited a couple of berry picking farms, Scotland has some wonderful fruits and in the summer it shines. 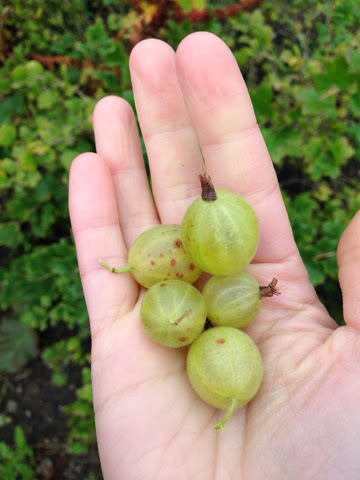 You can find gooseberries a tart fruit that aren't allowed in North Carolina as it apparently carries a disease that infects the white pine. 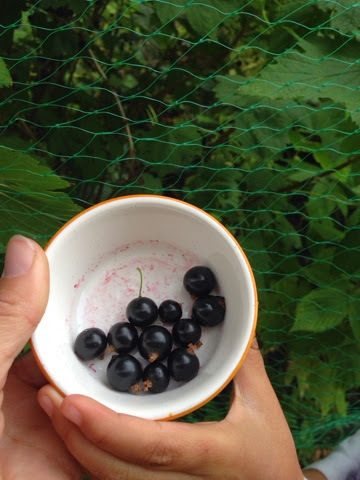 You can also find black currants, tart little berries that go into making Ribena a favorite British drink. In 1938 Ribena was invented taking its name from the Latin word for blackcurrants: Ribes Nigrum, it was given as a vitamin C supplement after world war two and still has the label rich in vitamin C.
looking at my mums recipes, all the fruit jams have equal amounts of fruit to sugar and its the sugar that gives the flavor and allows it to set. Do you have a favorite berry ?